Light sport aircraft are marketed to pilots (and prospective pilots) as a safe, economical and a relatively simple way to fly. Now it turns out the same pitch is working for law enforcement. The Tulare County Sheriff’s Department is the first agency in the country to put a light sport aircraft to work as an observation platform. With a camera mounted under the right wing of a Flight Design CTLE, the small plane will support patrol officers on the ground for the county south of Fresno in California’s central valley. 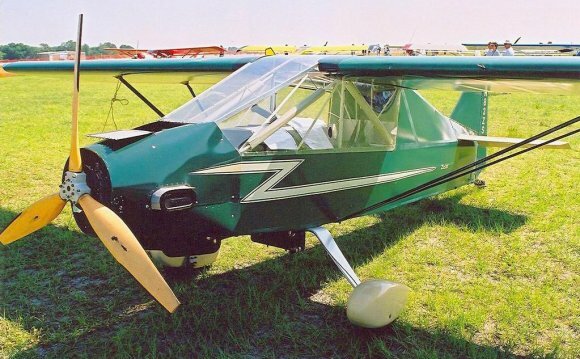 With the ability to safely fly as slow as 50 miles per hour, the two seat composite airplane was an attractive option for the county according to the sheriff department’s David Williams. “You can make the same sort of orbit as a helicopter without any problem at all” he said in a statement. Like helicopters, the CTLE uses a gimbal mounted camera that transmits to a screen inside the cockpit. Pilots also have a keyboard to access on board computer and recording equipment. Williams adds because of the relative simplicity of the aircraft compared to a helicopter, it will also be much easier to train existing police officers to fly the aircraft. Officers will have to go beyond a simple light sport license however as a commercial certificate is required to fly as a professional pilot. Flight Design says the airplane can easily serve more than a decade, making the long term cost comparable to police cars rather than police helicopters. And because the CTLE is certified to fly beyond the light sport aircraft category, loading it up with extra equipment beyond the 1, 320 pound LSA limit is not a problem. With a top speed over 130 miles per hour, the airplane can be repositioned faster than a helicopter and the low fuel burn gives it more endurance as well. Tulare County is the first law enforcement agency to put the LSA to use patrolling from above, but Flight Design says several other agencies have expressed interest in the low cost alternative to the police helicopter. The CZAW Mermaid is an amphibious flying boat light-sport aircraft produced by Czech Sport Aircraft in the Czech Republic.